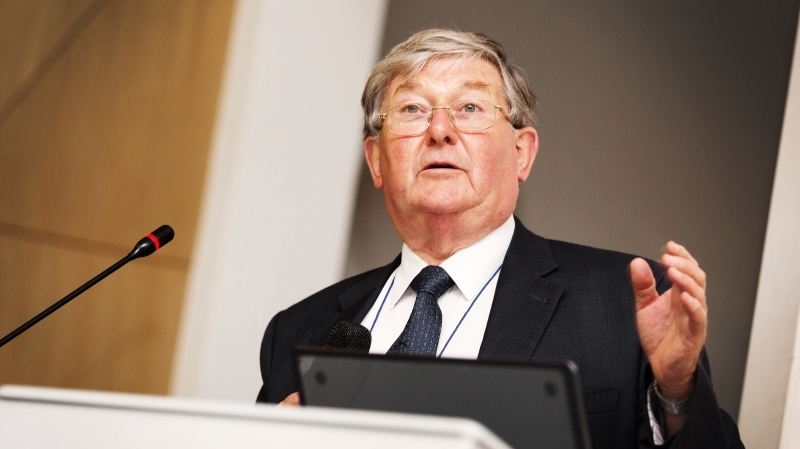 Prof. David Philips CBE (Past President of the Royal Society of Chemistry), delivering the welcome remark at the symposium on August 12, 2015. 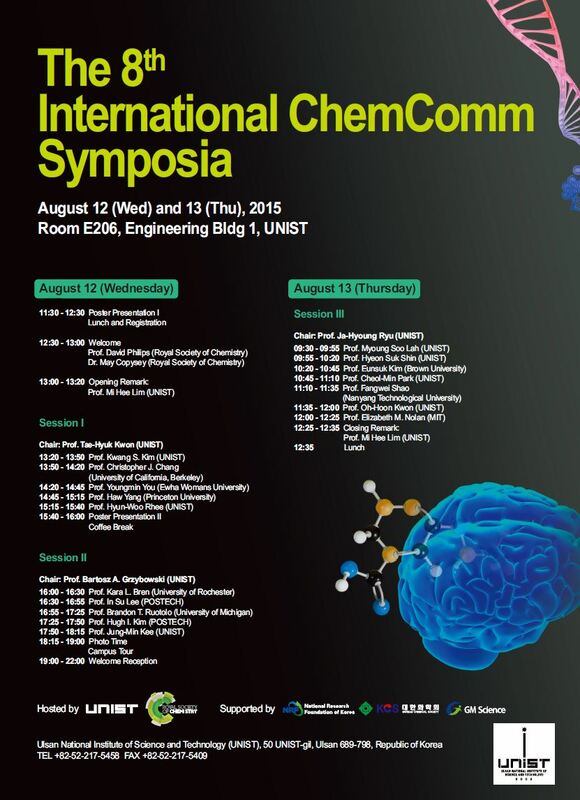 8th International ChemComm Symposia, taking place at UNIST. This year’s symposia, took place at UNIST, was organized by Chemical Communications and hosted by Prof. Mi Hee Lim of Natural Science at UNIST in collaboration with the Royal Society of Chemistry, the world’s leading chemistry community. Attended by experts and leaders in the chemicals and related sectors, this special event will feature a host of presentations on Molecular Design and Analysis by 17 pioneering scientists and three very special appearances by: Dr. May Copsey (Executive Editor of Chemical Communications), Prof. David Philips CBE (Past President of the Royal Society of Chemistry), and Prof. Wonwoo Nam (Ehwa Womans University). The Molecular Design and Analysis Symposia will be taking place from the 12–13th August, 2015 in the Engineering Building I of UNIST. 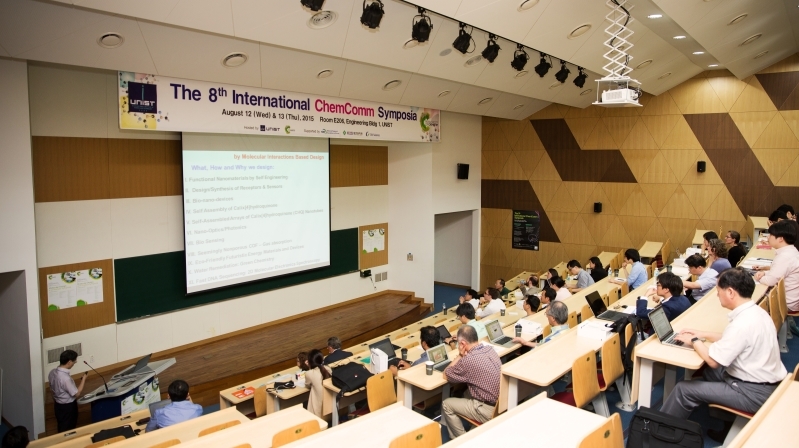 This symposium will bring together world-leading experts from several disciplines under the subject of Bioinorganic Chemistry who are from national laboratories and top academic institutions, including MIT, Princeton University, University of California, Berkeley, Nanyang Technological University, KAIST, POSTECH, and others. The purpose of this event is to highlight excellence in the chemical sciences and to help foster collaborations between speakers and delegates. 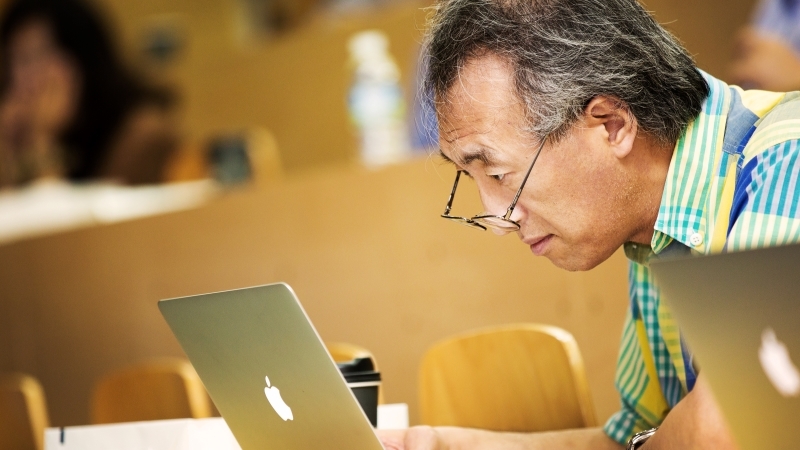 Prof. Takahiko Kojima (University of Tsukuba, Japan), glancing at the presentation slides at the symposia, held at UNIST on August 12th, 2015. The year’s symposium is dedicated to the latest development in Molecular Design and Analysis and will appeal to academic and industrial scientists worldwide with a particular interest in bioinorganic chemistry.